The week started slowly. 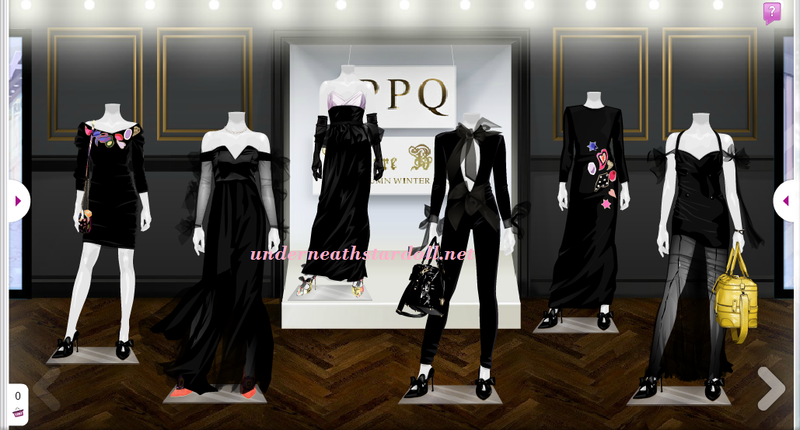 On Tuesday, we got a new PPQ collection. Fantastic, as usual. Clothes are mostly back, with few colorful pieces. I am not a fashion expert, but those seem like classic pieces. One thing I know, you can never go wrong with black, but make sure you add at least one colorful accessory, or if you like, a colorful wig. Good thing that the collection isn't time limited, as one a while ago was, so you have time to try and decide what you like. 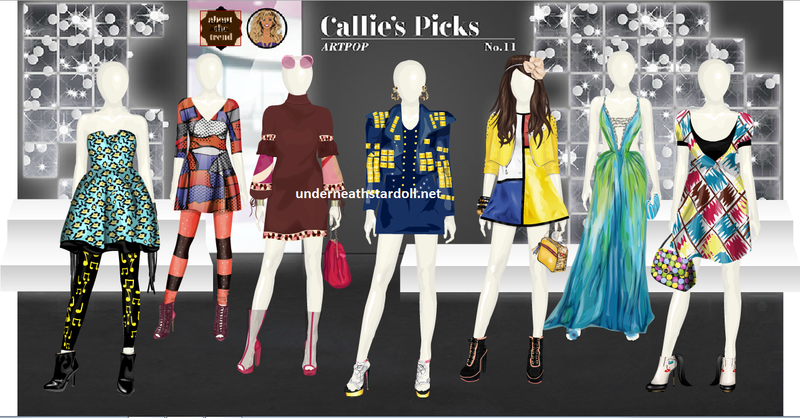 On Wednesday, 11th collection of exclusive old pieces picked by Callie.Stardoll (or whoever stands behind her name), arrived in Starplaza. Named 'Art Pop', the collection is full of pieces in a variety of bright colors, contrary to last PPQ collection that arrived a day ago. There are some quite rare items, which made many vintage collectors annoyed, at least. Many valuable items, that lost value with this release. Not a collection for everyone's taste, and everyday wearing. I am only curious, do you plan to buy stuff only because they used to be rare, or only stuff you like? Personally, I picked only some favorites, and there aren't many of them. 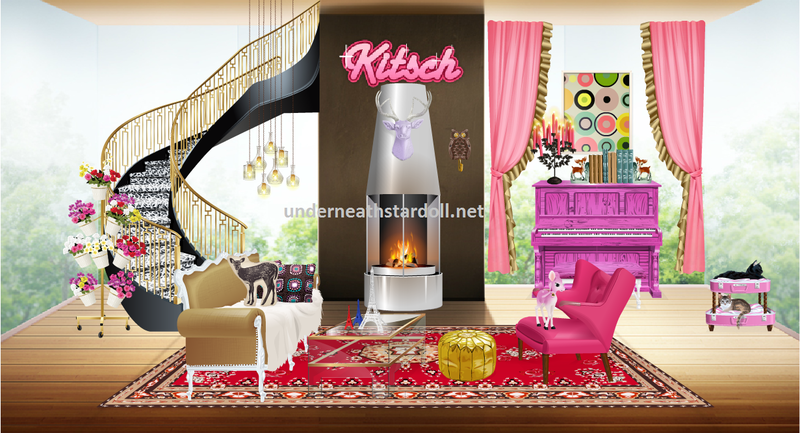 Another release, kinda logic after this week's Callie's Picks - a Kitch interior collection. A nice collection, perfect for adding some color to your usual suites. Some kinda unusual pieces, interesting ones. There are so many things you can do using those pieces, and I'd love to see your rooms you created inspired by and using pieces from this collection. - New layout. As I mentioned in intro. (Hopefully) new changes to our suites, that would make us search for stuff in our suites a lot easier. - New Rio collection. It is weird it hasn't arrived yet, since we got the spoilers on Wednesday. 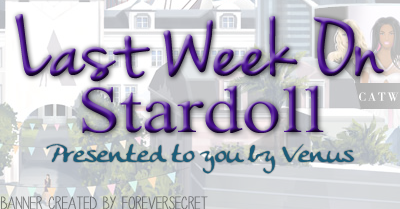 It is coming tomorrow, at least according to Stardoll's official Instagram page. - *My personal opinion* - A Nina Dobrev Doll - Stardoll posted 2 polls about the talented actress. I've been waiting for this for like really long time. Excited? Okay, now vote on the poll, and see you next week.